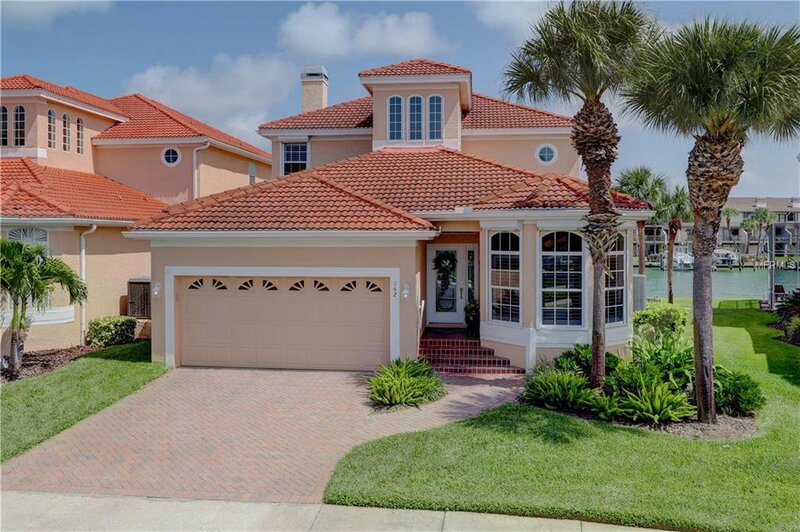 182 Sand Key Estates Drive, Clearwater Beach Property for Sale in , it has 4 bedrooms, 3 bathrooms with 2651 square feet. If you’re looking for the most luxurious waterfront home in a gated community, this is it! Completely remodeled with attention to detail, this waterfront 4 BR 3 Bath home with an additional den/study is move in ready. The newly remodeled kitchen offers solid wood cabinetry, quartz countertops, Wolf stainless steel gas range w/hood, Subzero refridgerator, built in wine cooler, walk in pantry, and a breakfast area to enjoy your morning coffee with views of the water. The great room offers soaring ceilings, a gas fireplace, and triple sliding glass doors that lead to open the brick paved covered patio and pool deck below. Boating enthusiasts will love the 65 feet of deep water frontage, and the composite dock complete with water, electricity, and a 30,000 pd boat lift. Because of the larger lot size, there is an additional wet slip for a second boat, and a landscaped seating area. Deep protected water, no fixed bridges and easy access to the Gulf of Mexico! Plus it’s an easy walk to the beach! There is Hurricane protection for all the windows and doors and the higher elevation provides lower cost insurance premiums.